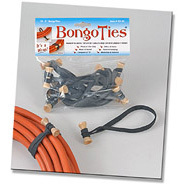 Handy ties for cables and other unruly items. Sturday and Reusable - Used by professionals! Standard Bongo Ties are Earth friendly, made only from natural Hevea (tree) rubber and wood and are virtually 100% biodegradable. New Bamboo Bongo Ties are even greener since they are made from highly renewable products: Bamboo and natural Hevea rubber. 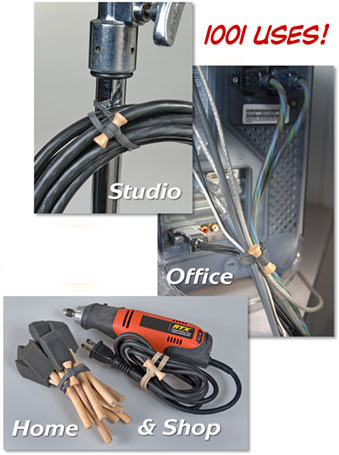 Cables Don't Slip - They Really Grip!